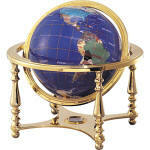 Genuine Marble World Globes Coming Soon! offers plaques, awards, statues, clocks and gifts for the best events in life. We have been serving satisfied customers for over 20 years.